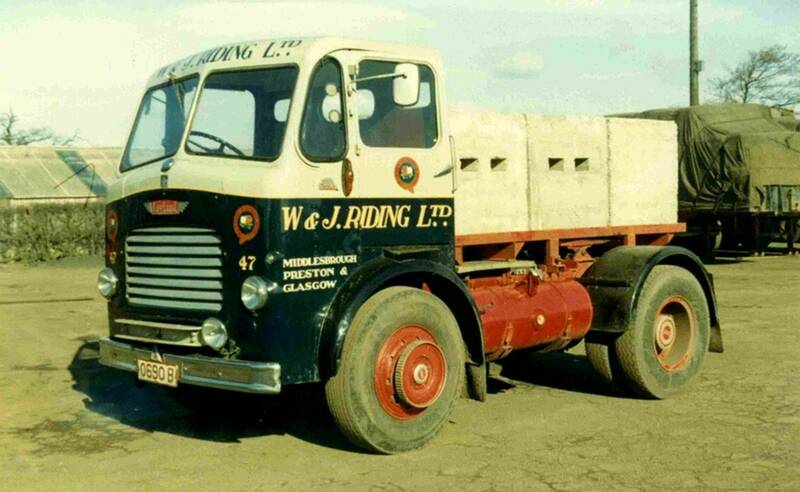 Originally built by Leyland Motors as a Leyland Steer Reg No 880 FTF was registerd new on the 1st of August 1958 and had a long and varied life while in the W & J Riding fleet. 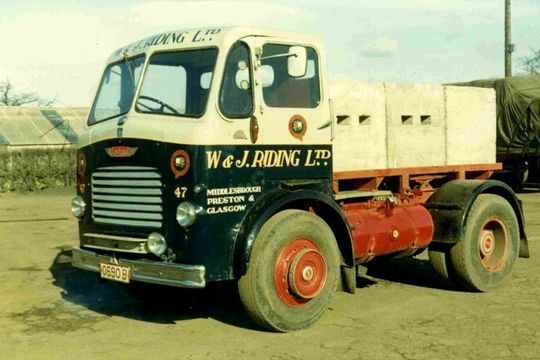 During it's 35 years with the company it was chopped down and converted into a Leyland Beaver tractor unit, was involved in a roll over accident, was used as a ballast tractor and eventually was saved for preservation after being parked up in a corner of the depot for many years. Below are a selection of images, along with detailed information, documenting it's working life at W & J Riding. 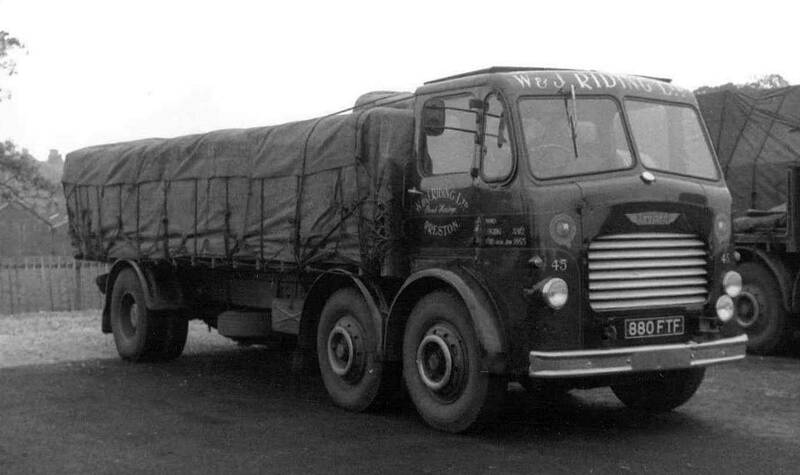 Originally purchased brand new as a Leyland Steer Reg No 880 FTF Fleet No 45 is seen here not long after entering service with the fleet in August 1958. 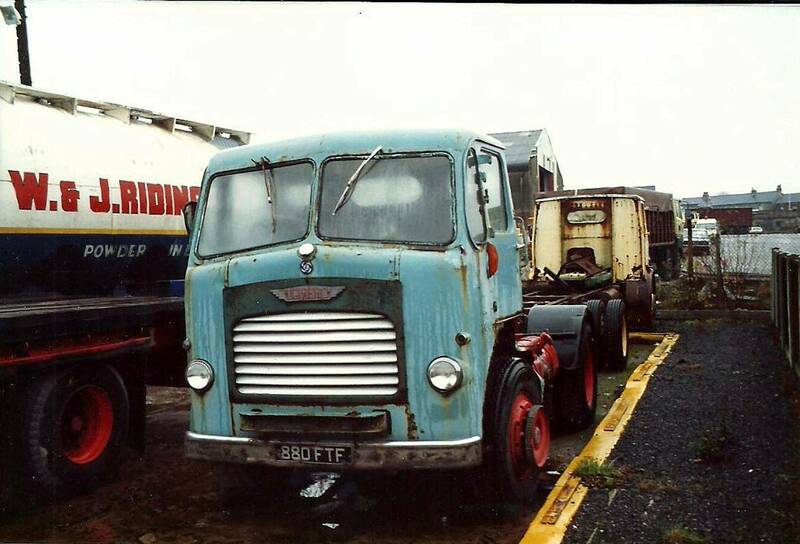 Parked in the yard at Longridge it is waiting to head back to Accrington, were it was based along with another Leyland Steer in the fleet at that time Reg No 868 LTJ. With articulation rapidly becoming popular in the fleet along with a shortage of tractor unit's being built by manufactures at that time it was decided to cut down 880 FTF Fleet No 45 and turn it into a Leyland Beaver 4x2 tractor unit. 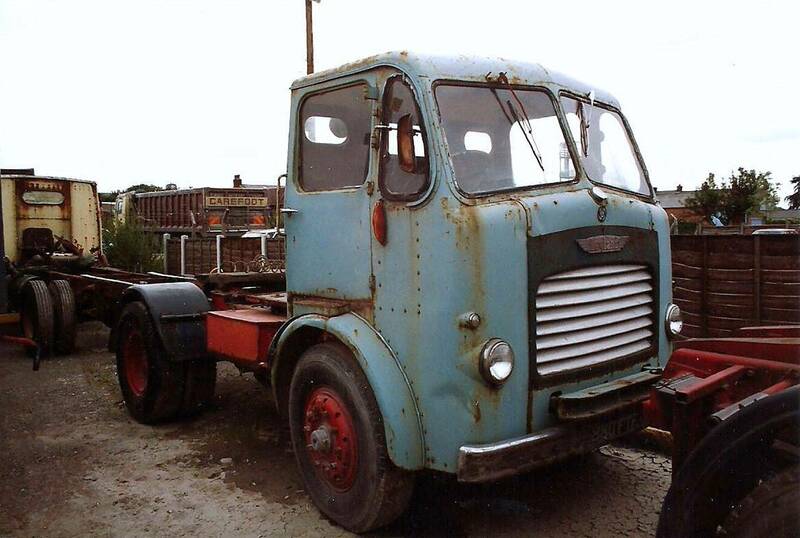 Converted Leyland Beaver 4x2 tractor unit Reg No 880 FTF Fleet No 45 is pictured here after rolling over on the roundabout beneath Junction 31 of the M6 near Preston known locally as the 'Tickled Trout'. After this accident this vehicle later became the yard shunter and recovery tug. 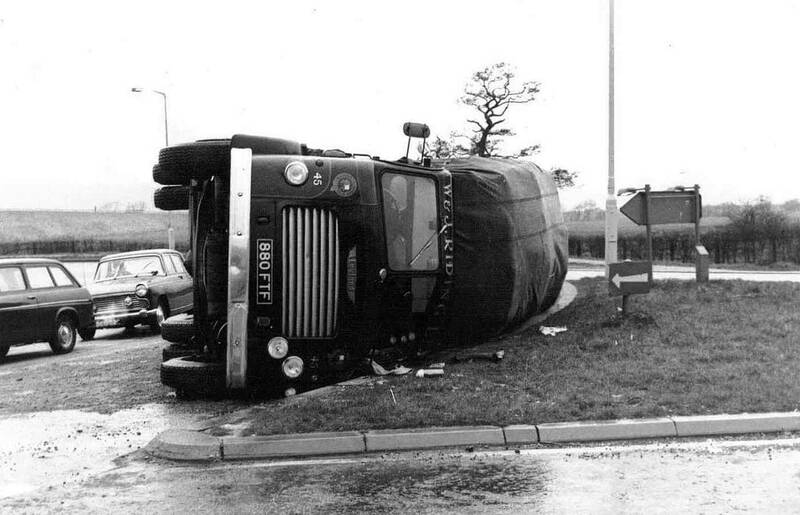 After being involved in a roll over accident on the roundabout beneath Junction 31 of the M6 near Preston Leyland Beaver 4x2 tractor unit 880 FTF Fleet No 45 is seen here during it's later years at W & J Riding'. Initially after the accident it was used for running trailers to Kirkham for MOT testing and also as a yard shunter but later, as can be seen in the picture above, Riding's had it adapted to carry six tons of weights for towing in loaded broken down rigid vehicles. Pictured here on the 21st of November 1992, when 34 years old, Leyland Beaver 4x2 tractor unit Reg No 880 FTF stands in the yard at Longridge shortly before being removed and saved for preservation. Another shot of Leyland Beaver 4x2 tractor unit Reg No 880 FTFtaken on the 21st of November 1992. It is seen here in the yard at Longridge shortly before being removed and saved for preservation by the Pyatt brothers of Cheadle.